In his 70 plus years, Jim Christy asserted his freedom of spirit as a vagabond adventurer and true renaissance explorer of ideas as he took on multiple careers as a journalist, private eye, actor, and musician in over 50 countries around the globe. He is most renowned for his evocative narrative travelogues, novels, and poetry and stunning visual art. Author Ian Cutler finds in Christy’s life, stories that are an essential link in the history of rebel talents; those rare souls who shift our perspective by choosing to live their lives outside of accepted cultural mores. Ian Cutler interviews Christy and associates to assemble this fascinating and inspiring biography of a man who can genuinely be called the last of the Beat Generation. Cutler is a philosopher specializing in the Cynic school and its context in modern life. His personal passion is documenting the lives of tramps, vagabonds, and hobos in England and America. 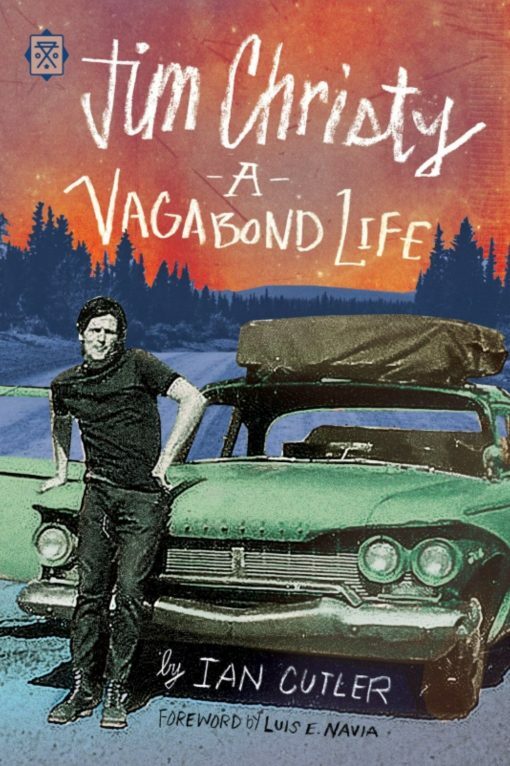 Jim Christy: A Vagabond Life is the first title in Feral House’s Tramp Lit Series.